Like many of you, we found out about Coast Gravity Park while watching the movie Arrival a few years ago. 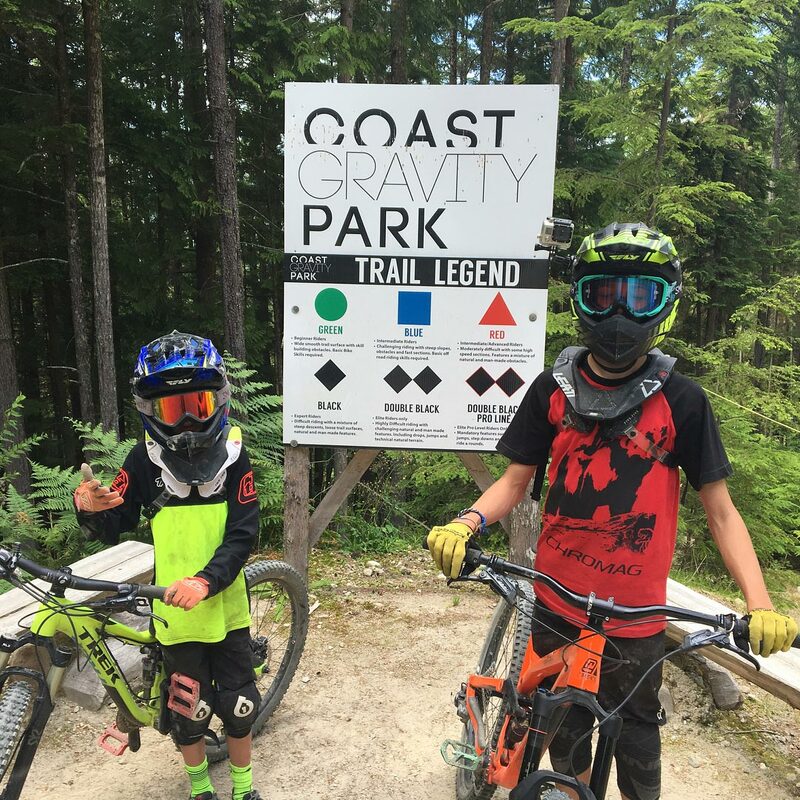 Coast Gravity Park is located near the town of Sechelt in British Colombia. Cliche warning: they say ‘getting there is half the fun’ and that is certainly true when it comes to CGP. At the very least make a weekend of it. Chances are you have to ferry in from Vancouver. Day Passes: $65 CAD at the park | $58.50 CAD if you buy at least 24 hours in advance online. Website: www.coastgravitypark.ca | You will find a lot of additional travel information as well as where to stay on the CGP website. 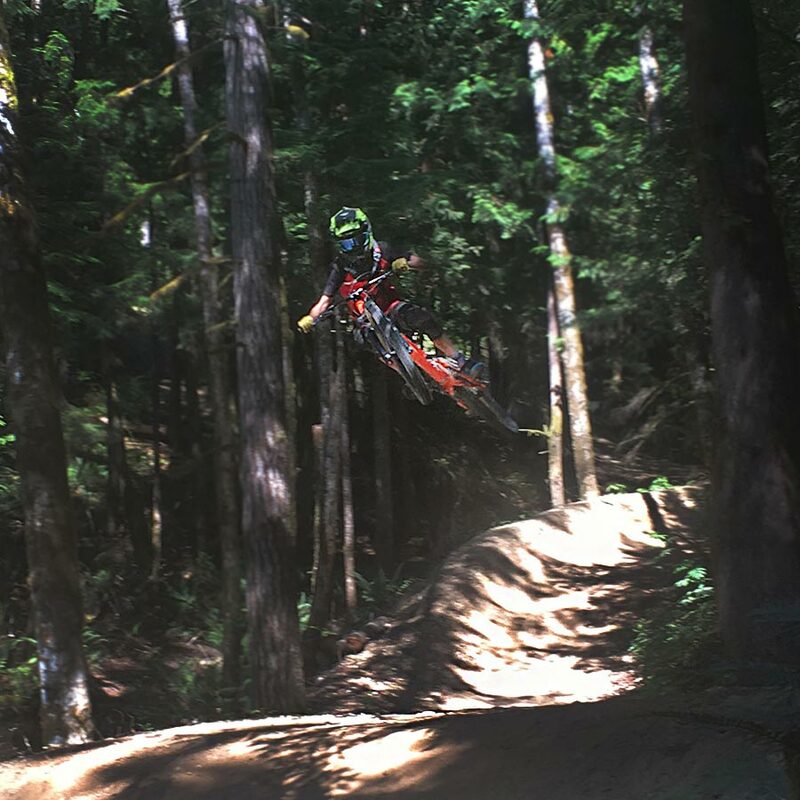 This mountain bike park was the inception of The Coastal Crew. 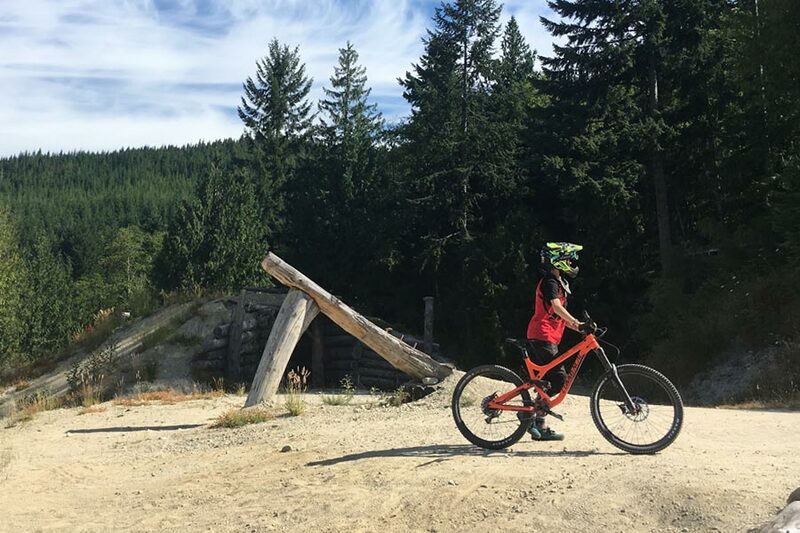 Originally composed of Dylan Dunkerton, Kyle Norbraten, and Curtis Robinson – these 3 mountain bikers chose to create their own bike park experience which could be utilized and enjoyed 12 months out of the year. During the “slow season” from August 30th – May 15th, the park is only open on Saturdays and Sundays (weather permitting). Need to plan the ultimate birthday party and solidify your position as the best parents ever? As of this writing, you can reserve the entire park starting at $929.49 CAD a day. There are no lifts in the park – just shuttle vehicles. You are encouraged to buy your tickets online several days prior to your visit so the facility can have enough staff and vehicles on site to accommodate riders. Visitors who purchase passes at least 24 hours in advance also save 10%. There are 12 trails in the park and that was enough to keep our familia very happy. 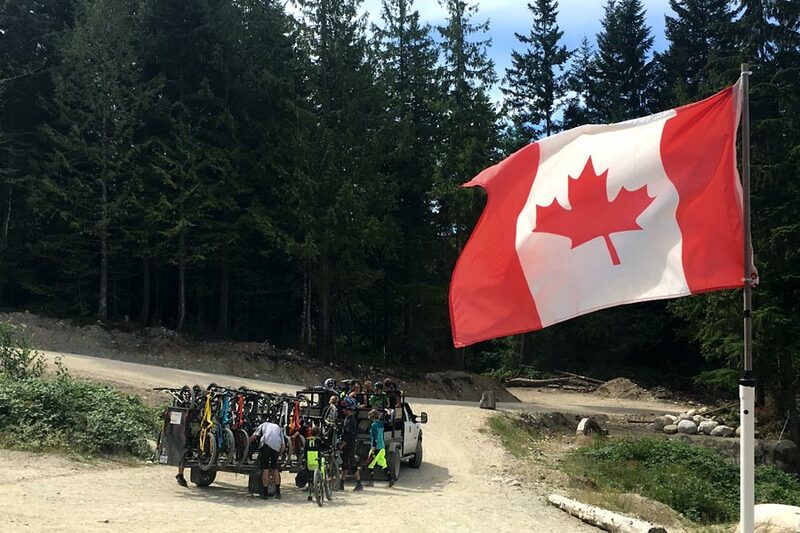 Everyone in our clan is at least a solid intermediate mountain biker and that means we got to experience most of what the bike park had to offer. 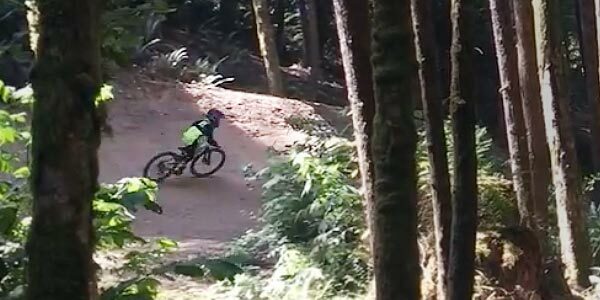 To get acclimated, cruise down the trail Mr. Green so you’ll get a sense of the slope and terrain. After this warm up run, you can ramp it up on the intermediate through the pro-line runs if you’ve got the skills. Our kids really liked the trail Lift Off because of a table jump that would huck them for several feet. 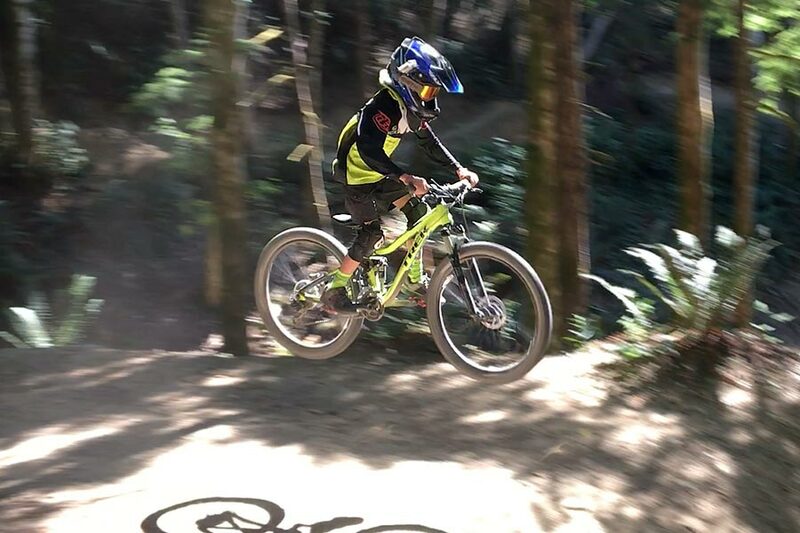 If you’re ready for a little hike-a-bike, you can push your bike above where the shuttle drops you off and ride the advanced trail Dynamite Panther. 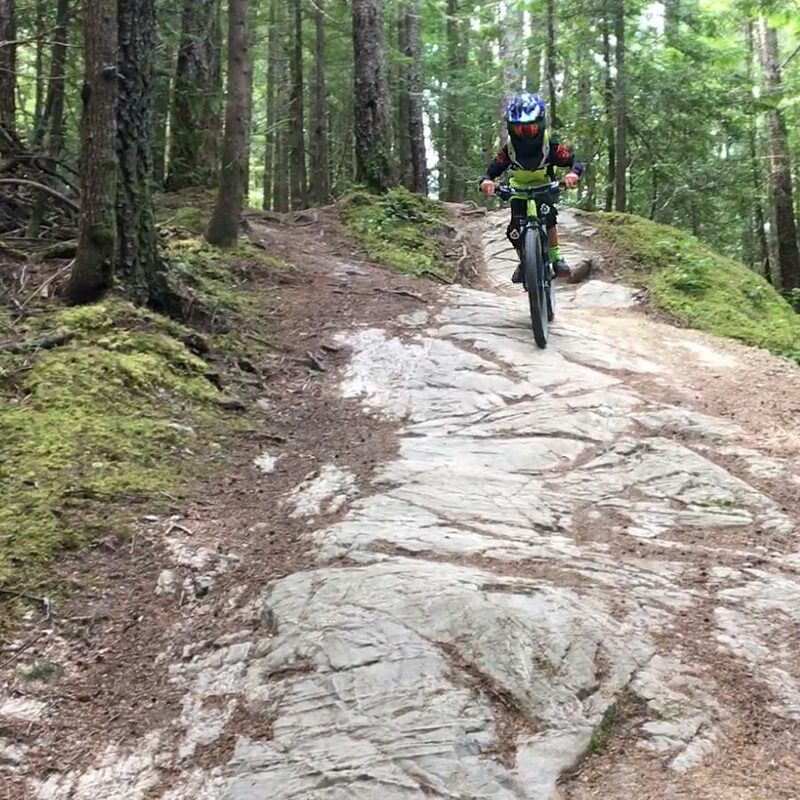 During our visits, all the trails we rode were in excellent condition. If you choose not to pack a lunch and drinks, you can take a advantage of the outdoor Coast Gravity Grill. 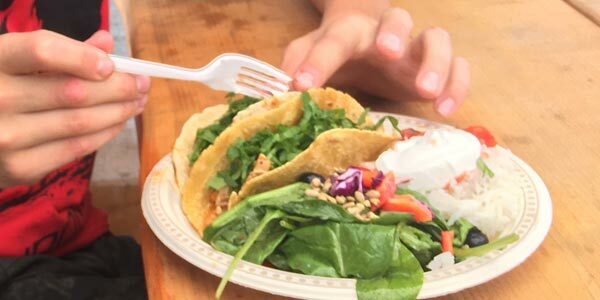 The food is very good and made fresh every day. The vibe at Coast Gravity Park is very family friendly and low key. We’ve had the opportunity to ride CGP a couple of times and on both occasions the other riders and all the staff were very helpful and courteous. Keep in mind that Coast Gravity Park is kind of rustic. That’s just our way of saying there are only portable restrooms on site. 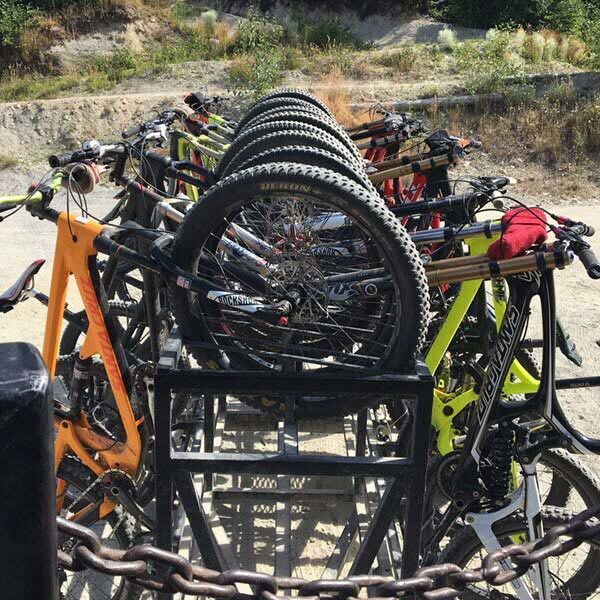 If you need to rent bikes, be aware that you will have to pick them up in Sechelt, Vancouver, or elsewhere.